1. Doing your kilay will now be an option because your bare brows will be hidden. 2. It’s the quickest way to look younger. Remember how you looked extra cute when you were in pre-school? That trick will still work today! 3. If you're thinking of getting a hair makeover but you're scared to go short, a fringe is a great way to change your look! 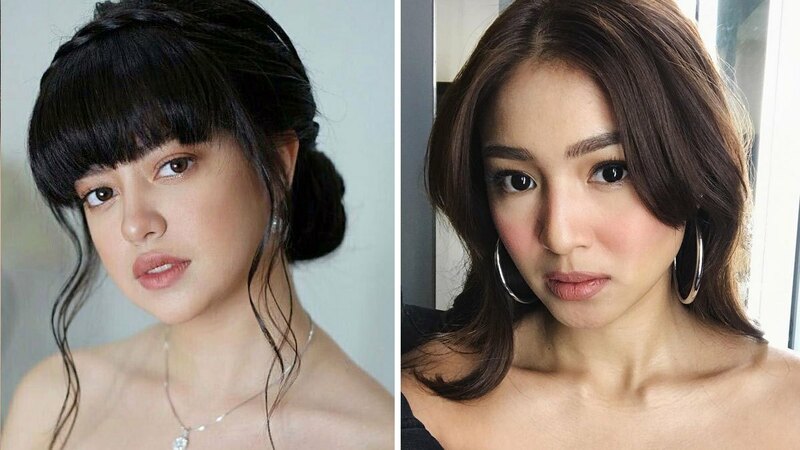 Nadine Lustre opted for thick, middle-parted bangs for a subtle change. 4. You can look fierce effortlessly—full, blunt bangs evoke a powerful vibe. 5. Bangs can help frame your face and enhance its shape. No need for contour, baby! 6. It's a versatile 'do. Flaunt it, clip it, or brush it back. You're basically a hair chameleon now. 7. You’ve got many style options. Wispy, full, or side-swept; take your pick. JUST GO FOR IT!